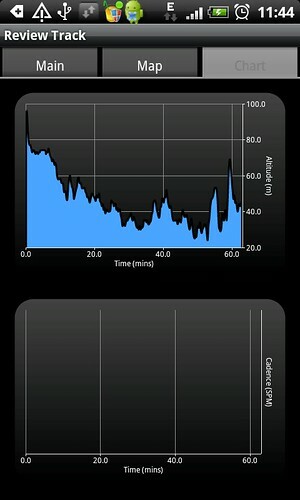 Last Friday I tried out a GPS tracking app, called SportsTracker, on my new HTC Desire. Cool little thing. 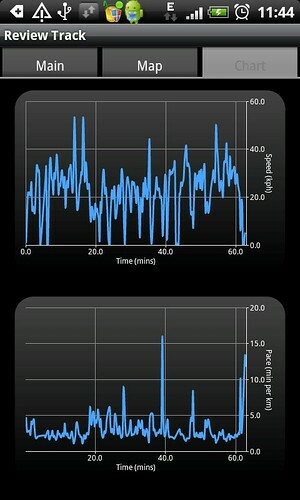 It tracks my cycling route, current and average speed and pace (and reported it real-time via Bluetooth headset), and generates several graphs for me to peruse. The paid version offers data uploading and other stuff, but Google haven’t put the payment system in place for Indonesia. Too bad.